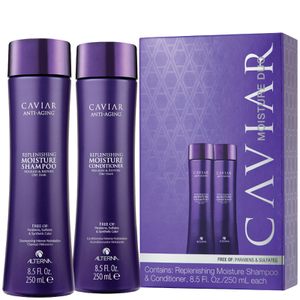 Goes beyond simple moisture by helping hair attract, retain, and rebalancethe hydration it needs. Apply a small amount, lather, rinse and repeat if necessary. Aqua/Water/EAU, Sodium Cocoyl Isethionate, Sodium Lauryl Sulfoacetate, Disodium Laureth Sulfosuccinate, Cocamidopropyl Hydroxysultaine, Sodium Lauroyl Sarcosinate, Cocamidopropylamine Oxide, Decyl Glucoside, Lauryl Alcohol, Glycereth-26, Glycol Distearate, Amodimethicone, Wasabia Japonica Root Extract, Foeniculum Vulgare (Fennel) Seed Extract, Chondrus Crispus (Carrageenan) Extract, Hydrolyzed Algae Extract, Algae Extract, Caviar Extract, Linum Usitatissimum (Linseed) Seed Oil, Butyrospermum Parkii (Shea Butter), Helianthus Annuus (Sunflower) Seed Extract, Saccharomyces Lysate Ferment, Saccharomyces Copper Ferment, Saccharomyces Zinc Ferment, Superoxide Dismutase, Lactoferrin, Daucus Carota Sativa (Carrot) Root Extract, Retinyl Palmitate, Phospholipids, Corn Oligosaccharides, Copper Lysl Oxidase, Acetyl Methionine, Acetyl Serine, Amino Acyl tRNA Synthetase, Phytosphingosine, Ganoderma Lucidum (Mushroom) Tyrosinase, Lentinus Edodes Tyrosinase, Glycine Soja (Soybean) Seed Peroxidase, Peptone, Hydrolyzed Soy Protein, Glycine Max (Soybean) Symbiosome Lysate, Pikea Robusta Extract, Adenosine Triphosphate, Niacinamide Polypeptide, Ascorbic Acid Polypeptide, Pantothenic Acid Polypeptide, Papain, Bromelain, Melanin, Melanin Silanetriol, Wheat Amino Acids, Hydrolyzed Wheat Protein, Hydrolyzed Soy Protein, Hydrolyzed Oats, Hydrolyzed Vegetable Protein PG-Propoyl Silanetriol, Tocopheryl Acetate, Guar Hydroxypropyltrimonium Chloride, Cinnamidopropyltrimonium Chloride, Polyquaternium-10, Polyquaternium-7 Dihydroxypropyl PEG-5 Linoleammonium Chloride, C11-15 Pareth-7, Laureth 9, Trideceth-12, C12-13 Pareth-23, C12-13 Pareth-3, Glycerin, Propylene Gycol, Citric Acid, Butylene Glycol, Aminomethyl Propanol, Acrylates Copolymer, Parfum/ Fragrance, Methylchloroisothiazolinone, Methylisothiazolinone, Methylparaben, Propylparaben, Geraniol, Hexyl Cinnamic Aldehyde, Linalool, Limonene. I have been using Altena shampoo and conditioner for more than ten years. I think my hair is better than tha same age womans one.Altena is really anti - aging issue.I'll keep using them . 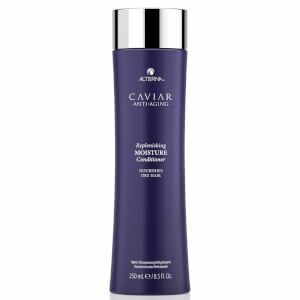 I love the Alterna Caviar moisture shampoo. Recent chemo treatments and surgery have turned my hair into dried out straw! Nothing has worked until this shampoo and conditioner. My hair is silky and shiny, more manageable, frizz is controlled and my hair actually looks healthy - something I never thought I would ever be able to say again. Even my hairdresser noticed the difference. I also stopped losing hair and my color lasts longer. 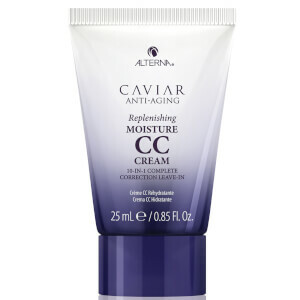 I will definitely continue purchasing this and more Alterna products. have ben using alterna's bamboo line for the past year but wanted to try this since i've found bamboo a bit drying. love this shampoo/conditioner! it is very moisturizing, leaves my hair shiny & soft with lots of body. it's very pricy so i'm glad i don't wash my hair every day but very happy with it so far. Even my husband commented on the difference! I have long, very thick, very wavy hair which I color brown and straighten.I have been addicted to Kerestase for years. But over the past 6 months, my hair started to tangle more and became dull. So I purchased this Shampoo and complimenting conditioner as a last resort.Now, I am addicted to touching my hair. People stop me on the street to ask me what my secret is. My hair is beautiful to manage. I can't write enough about this line of hair care. My hair is manageable AND fabulous looking!Buy this product; get miraculous hair. That simple. This is the most luxurious shampoo ever! 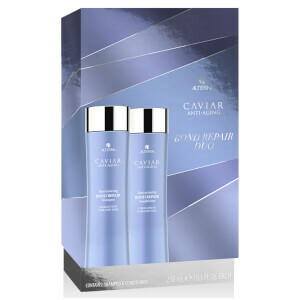 It comes out of the bottle on the thicker side and it contains caviar and other incredible ingredients to pamper and nourish dry hair. I feel like I am giving my hair a treat when I use this. It's just wonderful, a must try! I can't believe how well it works. I use this along with the conditioner. I see immediate result within the first use. My super dry, coarse hair turn out to be silky smooth. After 3 use, my split-ends are gone. Had high hopes based on previous reviews. But after three weeks of use, still no better than the much less expensive TreSemme for my long, graying hair. Would not recommend. I'm so glad I received a sample of this shampoo. I'm very sensitive to scents and chemicals and cannot tolerate most perfumes, but this one did not bother me. I like the scent - not strong at all. It also worked wonders for my dry, wavy, frizz-prone hair. Lots of moisture without flattening my curls. Left my hair silky and shiny! I received a sample of this shampoo with an order. I could not believe how silky and shiny my hair was! I have very thick, curly, course hair that is very dry. It lathered well and left my hair feeling and looking great. I deducted one half star because of the very high price. But, a little does go a long way.